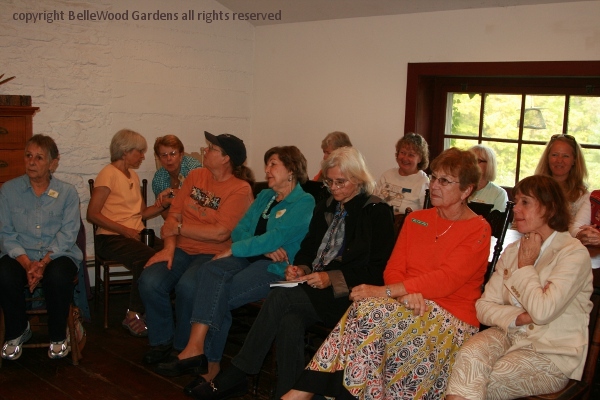 Garden club meeting today. 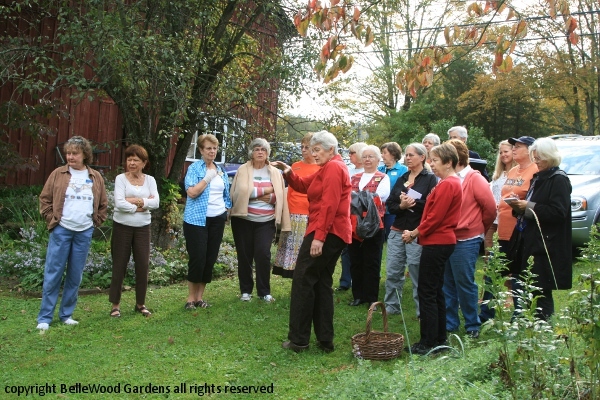 We're off to the Betsy Jacobs Tinicum Herb Barn in Erwinna, where she teaches workshops on the cultivation and use of herbs in cooking and decoration. 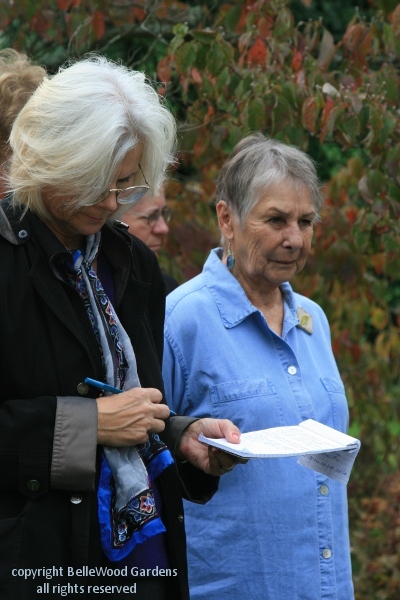 I was there for her open house last summer, and once before that, also with the Tohickon Garden Club. 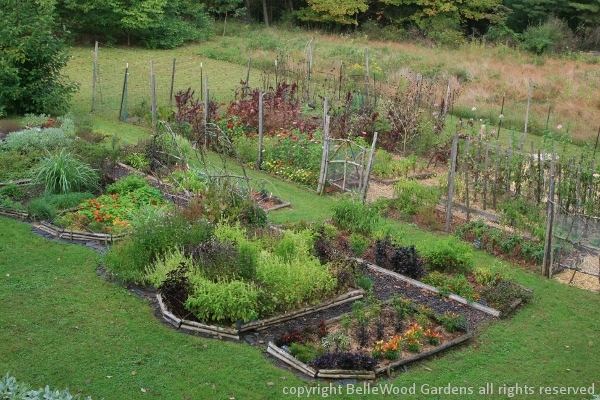 It is really a great place because there's the garden of growing herbs to see and stroke and smell. 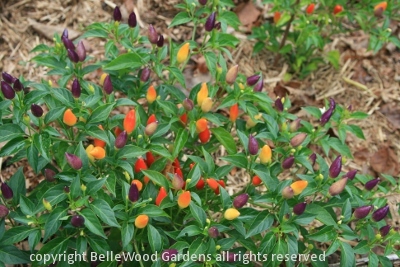 Today we'll have a guided tour of her herb garden and listen to Betsy's knowlegeable discourse on rosemary, lavender, sage, thyme and savory, a diversity of basils and an abundance of chile peppers. 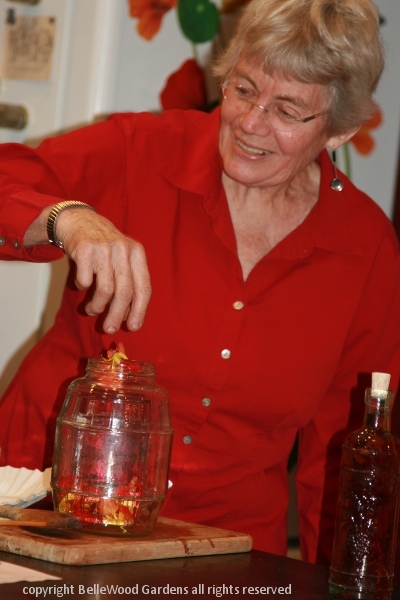 As well, she'll demonstrate how to make herbal vinegars and savory butters using Provençal herbs, rose geranium, and other flavorings. 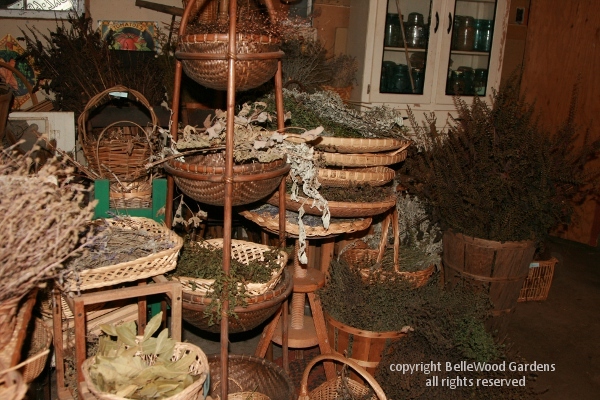 We start off in the barn, entering past a plethora of baskets and bunches of dried herbs. 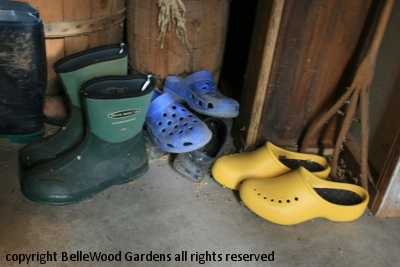 Garden clogs and wellies (Wellington boots, don't you know) line up by the staircase to the loft. 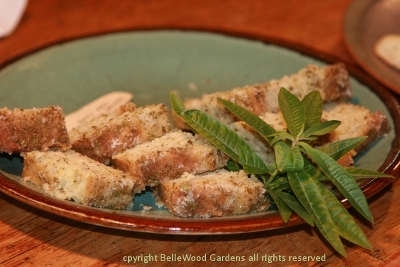 lemon verbena tea cake. I brought lavender shortbread. Herb teas were chilled and waiting for us too. the fence. Deer, you see, don't like strongly scented plants and leave herbs alone and uneaten. introductory remarks and off we go to the garden. 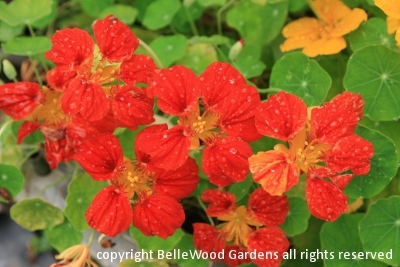 Betsy is very good with explanations and information, since she is so knowledgeable. So much so that rather than rely on memory, more than one club member was taking notes. 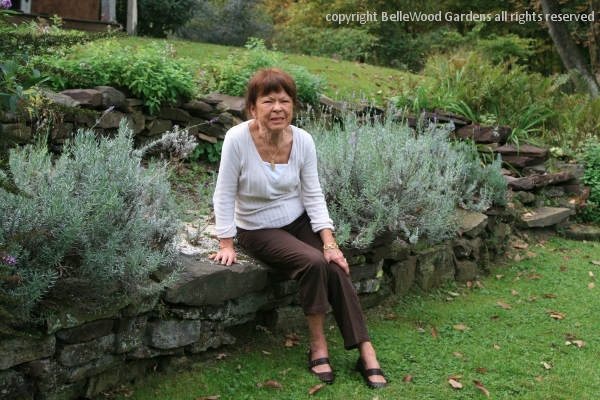 And this woman found a comfortable perch on a just-right-height stone wall amid lavender. purposes, they're also beautiful. 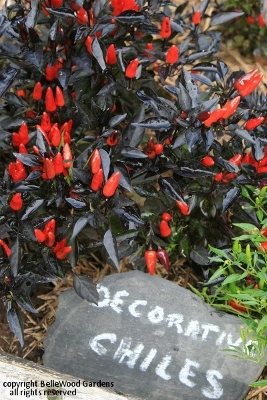 Leaves may be green or black, and fruits change color as they ripen. 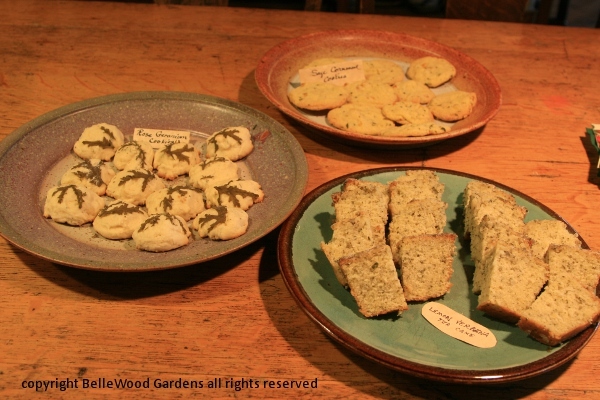 of making herbal vinegars and herb butters. Bored? Not hardly, everyone is interested. 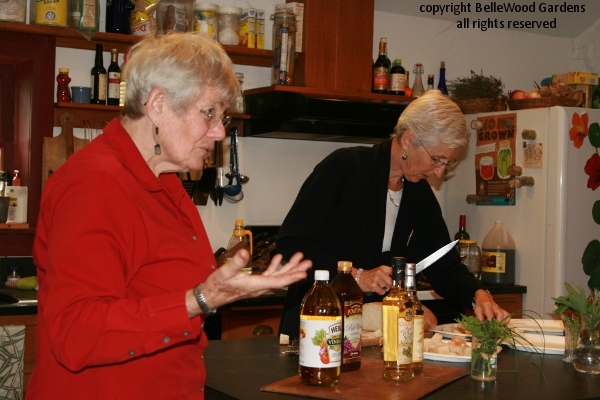 Betsy and sous-chef Sally (the Tohickon Garden Club co-chairman) busily chop, mix, pour and create. want leaves and flowers clean and dry. Rinse, dry, infuse. quite easy. 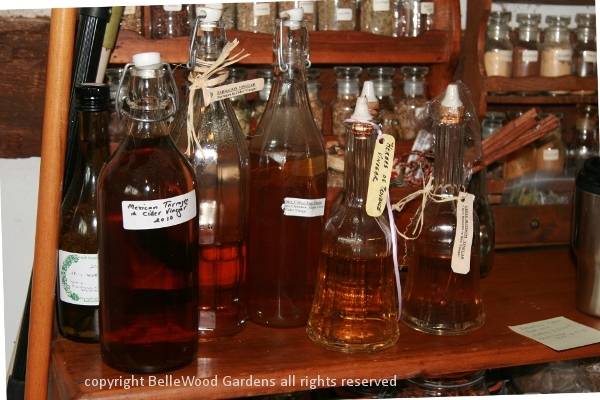 for salad dressings, sauces, in cooking a variety of dishes. What a wonderful outing.